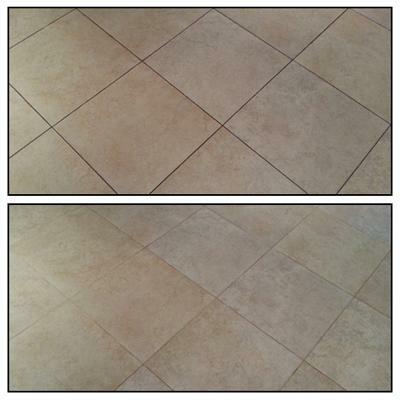 When was the last time you had your tile and grout cleaned? Do you know if it was sealed after it was cleaned? How Often should you have it cleaned? These are important questions for any home owner in Tampa Florida. Tile is the most durable flooring you can own, when taken care of properly. Most people like the ease of tile floors, they’re durable, easy to clean, and require little maintenance. Not to mention they come in many colors and materials. They are quite simply the fastest growing flooring in the state of Florida. Just like carpet, tile needs bi-weekly cleanings. But, what should you use to clean your tile floors? You should use a cleaner that has a neutral PH and cotton blend mop head. Professional tile and grout cleaners use solutions that have strong PHs that can be rough on your grout, so in between professional cleanings you should use something neutral that doesn’t dry out or etch your grout. Look for a cleaner that has a PH level between 6 and 8, this range of PH safe to use on a regular basis. Why should you seal your grout? Your grout is easily eroded from regular wear and tear. Most grout is made out of sand and polymers that form a chalk like barrier between tiles. Although grout is water proof it does allow for water to invade its upper layers. This constant change in moisture expands and contracts your grout and can crack, chip, or flake your grout over time. Sealing your grout helps prevent this from happening. Make sure when you get your tile professionally cleaned you get it sealed, especially in the state of Florida. How often should you get your tile and grout professionally cleaned? Its best to get your tile cleaned and sealed annually, or when your grout looks dirty or worn. An annual cleaning will increase the life of your grout and ensure it looks good for entire lifetime.